The Exponential function is used to describe the size of anything that grows steadily, for example 5% per year (a fixed fraction). How about an alternative app browser to the one provided on Windows Phone OS Nokia or Microsoft Mobile smartphones? Did I mentioned the price? Free, of course!!! Open source and the application allows incognito browsing as well. and can be found in the kids + family section of the Windows Phone App Store - LINK HERE TO DOWNLOAD. *** Back and Forward buttons! The Rubik's Cube: What did Rubik initially want to call his invention? In 1974, Erno Rubik, a Hungarian architecture professor, invented the puzzle now famed as the Rubik's Cube. The standard 3x3x3 version has colored faces made of 26 smaller colored blocks attached to an internal pivot. The object is to rotate the blocks until each face of the cube is a single color. The cube's popularity has sparked many competitions - some emphasize speedy solving, while others require participants to solve it blindfolded. What did Rubik initially want to call his invention? New evidence suggests beta-caryophyllene, a terpene in cannabis, may be effective for treating anxiety and depression. Beta-caryophyllene is present in the essential oils of various plants including rosemary, hops, black pepper and cannabis. Like most terpenes, beta-caryophyllene contributes to the unique aroma associated with plant oils. But in 2008, German researchers discovered that beta-caryophyllene also acts as a cannabinoid by binding to marijuana pathways in the body. Although some compounds like THC activate both cannabinoid pathways — CB1 and CB2 receptors — beta-caryophyllene specifically targets the CB2 receptor, which does not produce a high. "The results also support the involvement of the CB2 receptor"
Interestingly, a new study conducted with mice suggests that beta-caryophyllene may be useful in treating anxiety and depression. The findings were published online in the journal Physiology & Behavior. "The present study has clearly demonstrated the anxiolytic and anti-depressant effect of â-caryophyllene and its underlying mechanism in a CB2 receptor-dependent manner in rodents," wrote the authors, a team of scientists with the United Arab Emirates University. "The results also support the involvement of the CB2 receptor in the regulation of emotional behavior and suggest that this receptor could be a relevant therapeutic target for the treatment of anxiety and depressive disorders." Previous studies have also demonstrated a role of CB2 receptors in reducing anxiety and depression, the team adds. On the other hand, CB1 receptors, which are more widely dispersed in the brain, are known to exert a ‘biphasic' effect when it comes to anxiety and depression. Studies show cannabinoids that target CB1 receptors can help at low doses, while high doses seem to make things worse. A better understanding of beta-caryophyllene's properties, however, may help explain why cannabis users often cite relief of anxiety and depression as reasons for their use. According to a 2013 report in Trends in Pharmacological Sciences, "epidemiological studies have indicated that the most common self-reported reason for using cannabis is rooted in its ability to reduce feelings of stress, tension, and anxiety." Scientists in the UK have now traced marijuana's ability to prevent the growth and spread of cancer to specific pathways found in tumor cells, known as cannabinoid receptors. 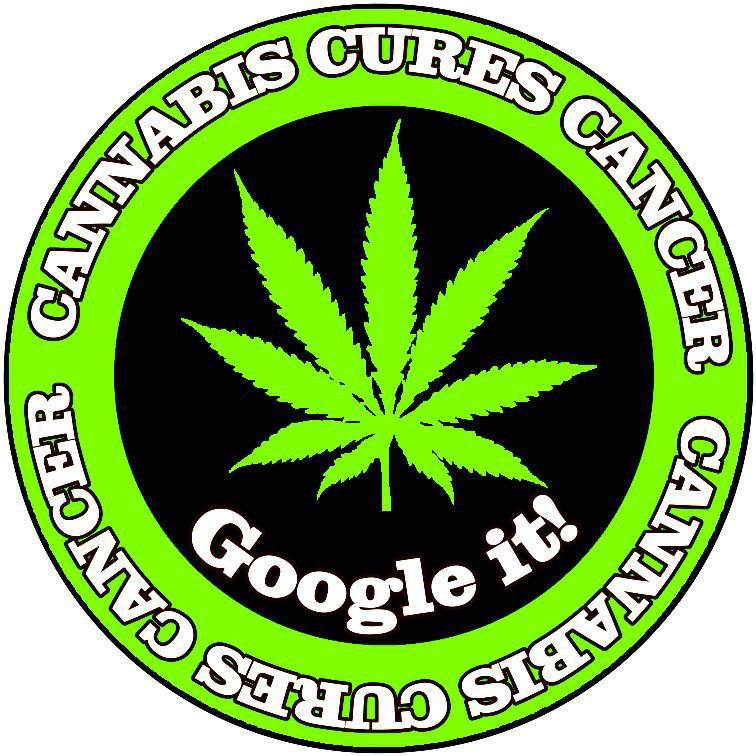 "THC, the major active component of marijuana, has anti-cancer properties. This compound is known to act through a specific family of cell receptors called cannabinoid receptors." The study, published last month in the Journal of Biological Chemistry, showed that injecting THC into mice with implanted tumors caused the cells to kill themselves — a process known as autophagy. It also slowed the growth of tumors in breast and brain cancer cell lines. While anecdotal reports have suggested that marijuana can fight cancer in some patients, Dr. McCormick notes that pharmaceutical companies have focused on developing synthetics and that the actual mechanisms remain "poorly understood." But Dr. McCormick hopes his team's discovery will help speed along the development of new cancer treatments. "By identifying the receptors involved we have provided an important step towards the future development of therapeutics that can take advantage of the interactions we have discovered to reduce tumor growth." Previous research had already linked the anti-cancer effects of THC to the CB1 receptor, which is the most common cannabinoid pathway found in the body. CB1 receptors, when activated by THC, are also responsible for the marijuana high. However, the group showed for the first time that CB2 receptors and GPR55 receptors are also involved, lending further evidence that marijuana can treat various cancers by acting through more than one pathway. Still, Dr. McCormick believes patients shouldn't treat themselves with marijuana just yet. "Cancer patients should not use cannabis to self-medicate, but I hope that our research will lead to a safe synthetic equivalent being available in the future." It may not be only THC in the plant that fights cancer, though. A 2013 study by a team at St. George's, University of London identified six different compounds in cannabis with anti-tumor properties including cannabidiol (CBD), cannabigerol (CBG) and cannabigevarin (CBGV). The Kids Karaoke Free App for Windows Phone offers the world's largest licensed karaoke library to karaoke fans around the world via multiple services and products. This app was created by ® TurismoAssociati.it/dBlog - Educate Yourself with Information © CC - Attribution - Non Commercial - Share Alike. Browse or download our free & certified applications for Windows Phone: LINK HERE. >>>>> Remember to press "..." to choose "Refresh" and "Go to Source" on the Video Details Area! >>>>> You can also use "..." to "Share", "Read" or "Pin to Start" an object of the application! Decades of research point to a variety of medical uses for this unique compound. 7 Proven Medical Benefits of Cannabis and THC. THC, or tetrohydrocannabinol, is the most recognized ingredient in cannabis. It is best known for causing the high that you get from using marijuana. As a result, THC has also caused the most controversy surrounding the plant's medical use, with many health professionals citing the high as a drawback. Treating asthma may not seem like an obvious use for medical marijuana. But as it turns out, THC's ability to improve breathing in asthmatics is supported by research dating back to the 1970s. Another benefit of THC recognized early on was its potential to relieve eye pressure in patients with glaucoma. Canada's new medical marijuana program has left many doctors uneasy. But others are starting to accept that cannabis can sometimes be the best option for patients. With a rising number of patients seeking a prescription for marijuana, clinicians are increasingly faced with the dilemma of prescribing a treatment that lacks support or recommending patients not use a medicine that could benefit them in the long-run. Most, out of caution, end up choosing the second option. "It's understandable that physicians might be reluctant to prescribe cannabis, because there is not a great deal of evidence about its effectiveness for many of the conditions we'd like to use it for, or about its safety," says Dr. David Juurlink, who heads the division of clinical pharmacology and toxicology at Sunnybrooke Health Sciences Centre, a University of Toronto teaching hospital. "It's understandable that physicians might be reluctant"
But deciding not to prescribe marijuana may not be erring on the side of caution, he says. Indeed, despite a lack of evidence for cannabis, there also isn't much evidence against it. At least compared to the variety of potent pharmaceuticals commonly prescribed for pain. "We consider them evidence-based therapies, but they really haven't been studied and documented for many patients in a way that shows that their benefits offset their risks," notes Dr. Juurlink. "All drugs have toxicities, whether they are plant based or come from pharmacies. It's the case that the direct toxicities of drugs for pain — like Oxycontin or Fentanyl or anti-inflammatory drugs — are simply much greater than the toxicities of cannabis." Patients who suffer from severe pain are often treated with opioid-based medicines and non-steroidal anti-inflammatory drugs (NSAIDs). But the dangers of these drugs have become increasingly apparent and experts are urging for an end to their loose prescribing. Recent data ranks Canada as the second highest per-capita consumer of prescription opioids, second only to the U.S. In Ontario, the rate of opioid-related deaths doubled between 1992 and 2010, now totaling about 550 deaths a year. "You can make a case to prescribe cannabis"
NSAIDs, while less acutely fatal, are known to cause intestinal bleeding and kidney problems when taken too regularly. But can medical marijuana be safely prescribed as an alternative to painkillers? Dr. Juurlink seems to think so. "I think the point that physicians, and perhaps patients, can take away is that you can make a case to prescribe cannabis to select patients. Especially when the patient tells you that it works for them and when prescribing it allows the patient to reduce their use of other noxious drugs."